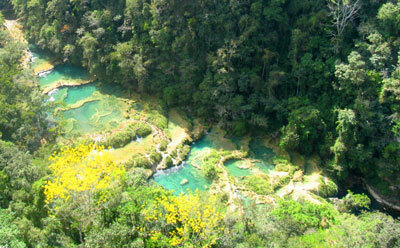 The Spanish in the XVI century called the region Guatemala from the Aztec word Quauhtemallan or "Forested Land". The lowlands have some of the most impressive Maya Kingdoms known to the world and the highlands are punctuated by soaring volcanoes and great crater lakes that provide breathtaking beauty amongst the pine forests. Locked in an eternal spring that rarely changes from a comfortable 72 degrees and densely populated by many Indian nations that are distinguished by their own unique and colorful style of dress, customs and handicrafts; Guatemala is among the most beautiful places in Latin America. 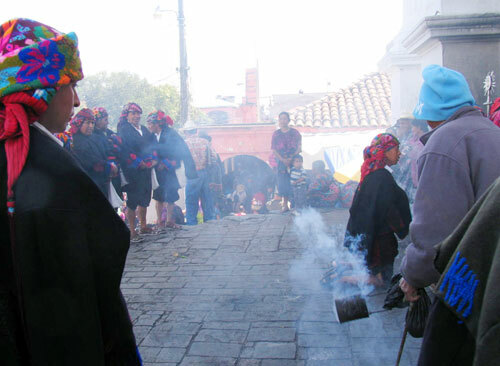 Programs are tailored to satisfy endless cultural interests in this fascinating region. 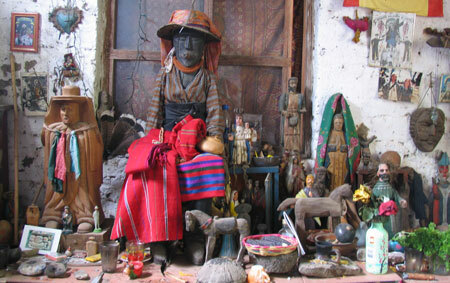 in Santa Maria de Jesus, Solola, Chichicastenango etc. 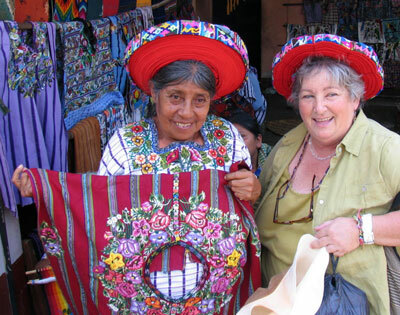 Great Folk Art in villages crafting textiles, masks, pottery, forged iron etc.